Last week we visited Tel Aviv and Jerusalem. Not sure it would be safe with all the latest bombing we still decided these cities must be visited. Not only for its rich Jewish culture and history but also for the fine art and Bauhaus influences in Tel Aviv. And what an amazing city it is! Friendly & smart people, nature, great food, culture and art go hand in hand. 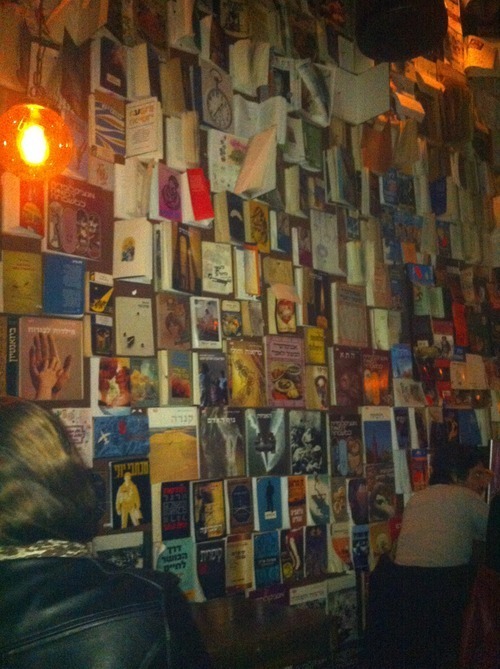 Local bars use smart solutions like a wall made of books to create a comfortable atmosphere. 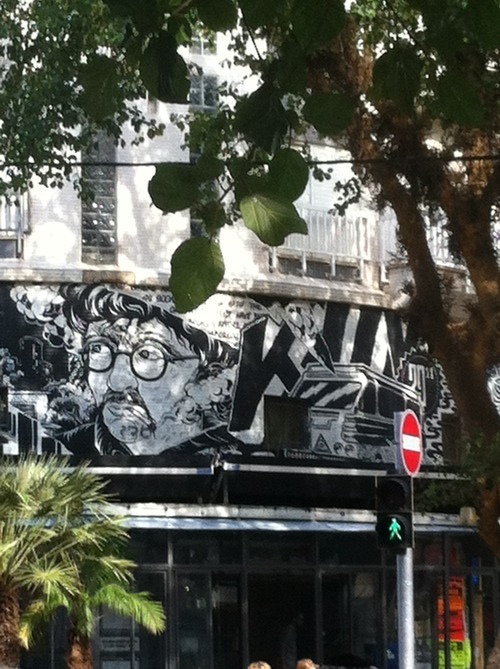 And there is graffiti art all over the place. I can recommend visiting Tel Aviv to everybody! With love Noun.